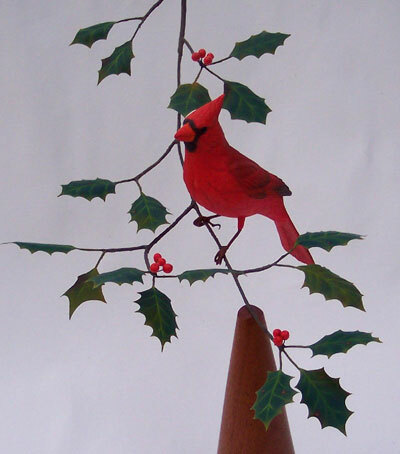 I have been carving since 1988. 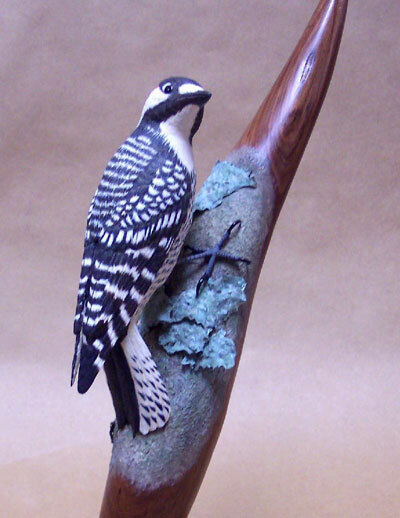 I consider myself a "bird" carver not a wood carver. 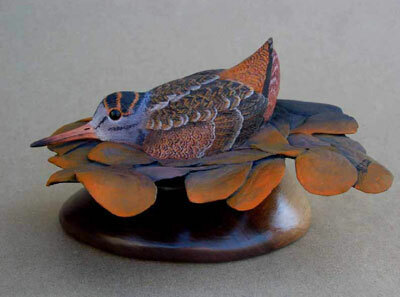 The reason for this is that, although the birds are primarily wood, my work involves a multitude of processes to create various other habitat items which are, in most cases, not wood. I use various metals which are, in many cases, braised together, various epoxies to create some habitat materials, and even plastics to create other habitat items. I paint with both artist acrylics and artist oils and have found the painting process I use is the exact same process two dimensional artists use to create their works. That is, painting by layering and using color theory extensively in the process. My development process involves preliminary sketches, clay models, creating a pattern then the creation process. 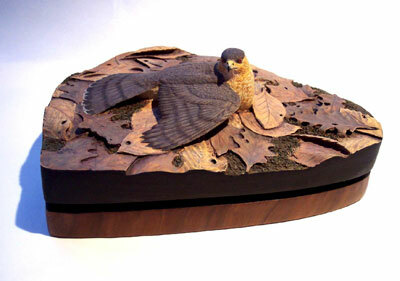 The creation process of the bird involves rough cutting the wood, basic shaping, adding detail, burning, texturing and painting. Creation of the habitat, as I have said, involves much more. All of this is after extensive research into both bird and habitat.